This is definitely a top three favorite Pilot uniform for me behind our current home whites and our black logo alternates. The image below is too large to see on the forum, but in what shows you can see our uniform. If you click the link above you can see all of them. This might also be a good time for me to pose the following: I know that our primary logo is the P and that when the wheel logo was released, Leykam mentioned that we are not moving away from our P logo. But, I feel like the athletic department has been slowly moving away from the P to the wheel. Frankly, the wheel is a more iconic and memorable logo to me. I like it 1000x better than the P.
A classmate, who is color blind, remarked "they all look pretty much the same to me....hope there are no color blind players in the PK-80." It should prove to be a heck of a tournament with 13 of the 16 teams in the top 70, and 3 teams from each bracket in the top 25.
dholcombe wrote: Also...does anyone know a "cheap" source for a single ticket. Based on our performance thus far I'm not sure I want to pay a lot to watch this in person vs on TV. 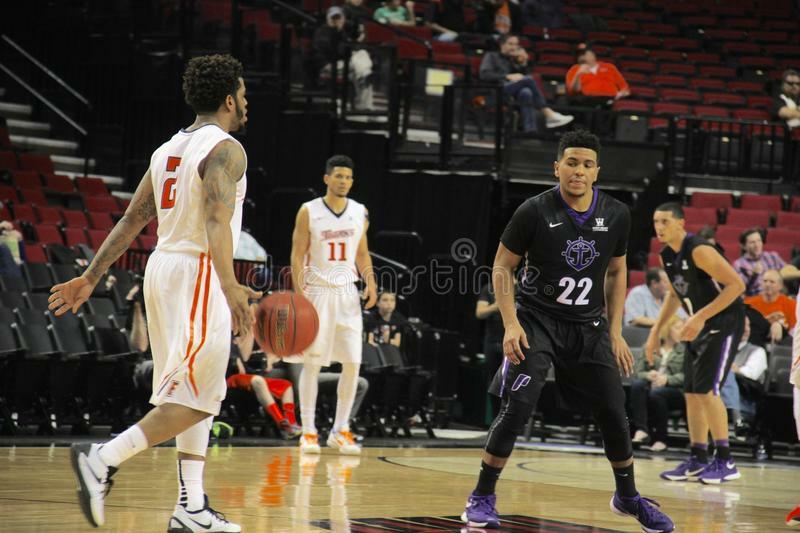 As the tournament is taking place over the Thanksgiving weekend when a lot of folks are out of town, and as quite a few of the tickets were sold to corporate accounts, there should be plenty of tickets available from guys hanging around the Rose Quarter. A couple of weeks I looked at ticket prices on secondary markets online, and they were asking way too much! I'd go with some of those "discount brokers" or just check with the box office. If I didn't have tickets I definitely be watching the games on TV....UP's first game is on ESPN, I think UP's second game is streamed on ESPN3, and the final game on Sunday will probably be on ESPNU. Not all the teams were done with their preliminary games after all...tonight, then 15 North Carolina played at then 70 Stanford and trounced the Cardinal, 96-72! UNC scored 50 in the first half and emptied the bench as All-America guard Joel Berry II poured in 29 points. UNC is now #10 and Stanford is #76. If we only lost by 23 it would be a miracle. If we’re only down by 23 at halftime it would be a miracle. The arena will probably be devoid of Pilot fans anyway compared to the throngs of people who support those bigger schools. I could not believe the number of Kentucky fans in Portland a few years ago in the Rose Garden, yet there they were. We were outnumbered in our own town by a fanbase of a school on the other side of the country! I still talked a ton of smack from the safety of the student section. Just remember this against North Carolina: UP student-athletes go to real, accredited classes. North Carolina is a true teaching institution. Geezaldinho wrote: North Carolina is a true teaching institution. Interesting, I just Binged "sham classes" and 3 out of the first 4 pictures were of UNC Athletics. (The first picture was a pictures of Texas students dancing the "Sham Sham." Hello Nation, it’s been awhile. I’d be very interested to hear any of your observations, your sightings of coaches, players, any NBA scouts, well-known alumni, etc. from this week. I’m a basketball junkie and can imagine myself standing/sitting around watching the who’s who walk around UP, Portland and the community. Whatever you see, please share. I went to the three Final Fours in Seattle and part of the fun was arriving early to see the pageantry and excitement. Enjoy the weekend, the best to you and yours this Thanksgiving. KTodd wrote: I’d be very interested to hear any of your observations, your sightings of coaches, players, any NBA scouts, well-known alumni, etc. from this week. I won't be any good a spotting celebrities of any kind, but I've invited someone very knowledgeable of the sports scene to accompany me, so I'll ask him to clue me in if there's someone we should know about. What will be most intriguing to me will be the fans who either travel or come out of the local woodwork to support their team. We know there are going to be a lot of GU and UO fans (I hope both schools make it to the finals on Sunday), but what about the those fans from North Carolina? Having lived in Goldsboro, NC for a short time, I saw first-hand the great rivalry between Duke and UNC....it's like no other in my mind because everyone takes it so seriously....unlike other rivalries that can actually be (sort of) fun. Too bad for those of us watching PK-80 live this year that the NCAA does not allow conference foes to meet each other in preseason tournaments because just the spectacle of Duke and UNC fans squaring-off in the same arena would be worth the price of admission. As it is, we may have to duck under the tables at Dr. Jack's if those fans are drinking there. Most of us are going snow boarding/skiing/hiking or visiting family and other relatives in our few days off from school. The only students I've talked to that are going to any of the games are the dance team and band members. I did see where UP's first opponent, UNC, is coming off a fun night against Stanford. 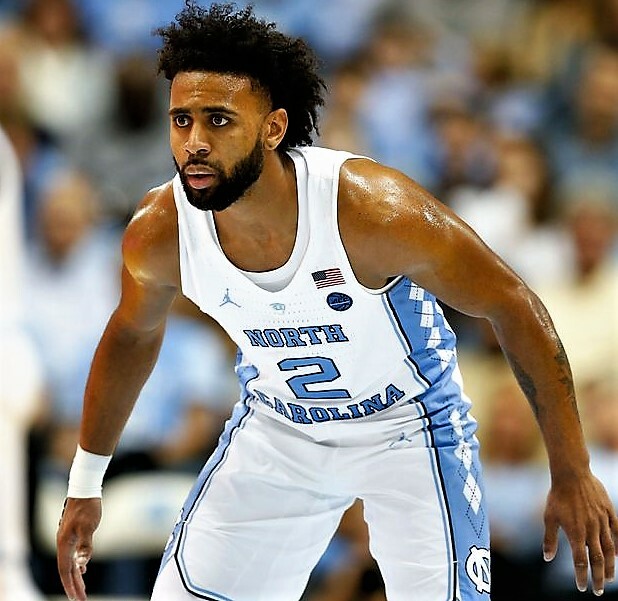 Joel Berry and Kenny Williams turned Maples Pavilion into their own personal playground Monday night, as the Tar Heel backcourt duo combined for 49 points in No. 9 UNC’s impressive 96-72 road victory over the Stanford Cardinal. Shortly after draining one of his six first-half three-pointers, a big smile crept across Williams’ face as headed back down court on defense. Saw an article from a Missouri paper's website today mentioning how UP should have the upper hand in the PK-80 because of the "home court advantage they will enjoy." This was just a day after I spoke with a professor friend of mine at Stanford who said the UNC fans at the game in Palo Alto outnumbered the Stanford fans about 4 to 1. UNC should start two seniors and two juniors, all veterans of last year's National Championship, and a freshmen against UP's two freshman, 2 redshirt sophomores, and Phillip....the latest Las Vegas odds favor the Tar Heels by 26.5. As NPN wrote, "If we’re only down by 23 at halftime it would be a miracle." Can anyone in the country slow down this guy, Joel Berry II? Nice! I was sent this picture as an enticement to go the Moda Center tomorrow for PK-80 by a member of this forum after he read that I was not planning to attend. What classes do they attend at UNC? I will be rooting from south of the border in a sports bar that actually seems to have the US feed for ESPN. We have nothing to lose today-- so I hope the team comes out and represents themselves well. Vamonos Pilots! Down by 13 at half with our young team. Only lose by 24 to the defending national champs. I will take the with the team in it’s current state. There was a lot of growth today and a lot of mistakes to learn from. With 8left in the first. Another highlight from our game: we beat the spread! Looks like our next opponent will be Oklahoma. Portland State held on in the first half but couldn’t beat Duke. I didn’t watch but I saw several Duke fans complaining that Portland State played a dirty game. Anyone know about that? Or are they just upset that Portland State player them closer than they would have liked? "Fans of Grayson Allen's team complain about opposing team playing a dirty game" - this is like straight out of The Onion. Those who were watching ESPN were treated to a very interesting commentary from Bill "The Conference of Champions" "Truck Stop Conference" Walton. - Always referring to us as the "Riverboat Pilots"
- Bursting out random UP factoids outta nowhere, like they either had nothing left to talk about and poked around the UP website or were reading off a pre-defined list. (Hartwich playing on the German national handball team, mentioning the XC team's 2nd place at nationals, Beauchamp and Howard Hall were mentioned) I mean they weren't factually incorrect, just...totally outta left field. Sound Voltex wrote: Those who were watching ESPN were treated to a very interesting commentary from Bill "The Conference of Champions" "Truck Stop Conference" Walton. And they mentioned UP’s 1996 trip to the dance with commentary on Larry Steele and Michael Holton being UP coaches without ever mentioning that it was Rob Chavez who coached that team. SouthCarolinaPilot wrote: Another highlight from our game: we beat the spread! Looks like our next opponent will be Oklahoma. 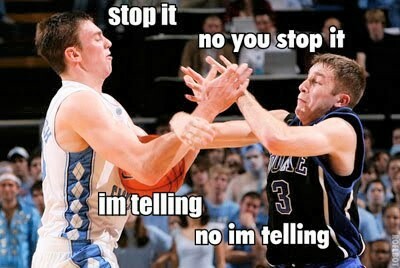 Actually, I saw Duke players with elbows to the throat and fake dives. Didn’t get called for either.